Gionee has launched the S10 Lite smartphone in India on Friday. The device highlight with the 16MP selfie camera which delivers beautiful pictures even in low light condition. It runs on Android 7.1 (Nougat) with Amigo OS 4.0 and is powered by a 3100mAh battery. The smartphone measures 148.7×73.7×7.9mm and weight 155grams. There is a fingerprint scanner on the front panel which is embedded in the home button. It features a 5.2-inch HD IPS display with a resolution of 1280 × 720 pixels. The device sports a 13MP rear camera with f/2.0 aperture, LED flash for capturing beautiful moments. On the front, it comes with a 16MP selfie camera with f/2.0 aperture, LED flash for a selfie fans. The Gionee S10 Lite packs a 4GB of RAM, 32GB Internal storage, expandable up to 128GB with a micro SD card. It is powered by a 1.4GHz Quad-Core Snapdragon 427 chipset processor with Adreno 308 GPU. Connectivity options on the smartphone include 3.5mm audio jack, FM Radio, 4G LTE, Wi-Fi 802.11 b/g/n, Bluetooth v4.1, and GPS. The smartphone is priced at Rs. 15,999 and comes in Gold and Black colors option. The device will be available in India starting from December 23rd. 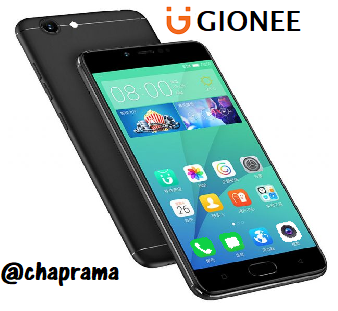 Gionee in Partnership with Paytm offers 2 Paytm cashback vouchers codes with Rs. 250 cash back on a minimum purchase of Rs. 350 on Paytm mall. Gionee has also partnered with Jio to offer 5GB additional data per month for 10 months on recharge of Rs. 309 and above.